Sowing a seed offering into ministry allows us to demonstrate that God is more important to us than material things. We recognize that your life can be busy between paying bills, running errands, seeing about the kids, or remembering important dates. Giving just might slip your mind or get pushed to the background. Malachi 3:8-10 New International Version (NIV) says… “Will a mere mortal rob God? Yet you rob me. 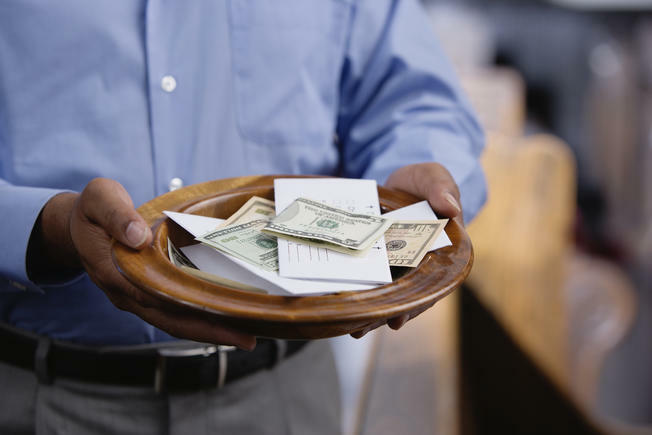 But you ask, ‘How are we robbing you?’ In tithes and offerings. You are under a curse—your whole nation—because you are robbing me. Bring the whole tithe into the storehouse, that there may be food in my house. Test me in this,” says the Lord Almighty, “and see if I will not throw open the floodgates of heaven and pour out so much blessing that there will not be room enough to store it. Through our giving, lives are changes—ours and those to whom we give. Greater St. Luke is appreciative of your generosity. We’re honored that you desire to sew into this ministry. By doing so, we honor your giving with faithful stewardship, Christian business practice, and institutional accountability that is above reproach as we are a 501(c) 3 organization that’s registered with the Internal Revenue Service as well as the Tennessee Department of Revenue as a tax-exempt non-profit organization. Option #1: If you used the Givelify app, you can instantly get your end-of-the-year information.